This awe-inspiring Kerala package offers all ingredients for a mindblowing family vacation in the lap of nature. Conscientiously put together with accommodation for two nights in Munnar and roundtrip transfers from Cochin Airport, it lets you discover the key highlights of Munnar and take time to immerse in the region’s pristine beauty and placid serenity. See the enchanting Mattupetty Dam, and be in absolute awe when the voice returns rumbling to you as you scream at the Echo Point. Another attraction you’ll visit is Photo Point – an unmatched forest retreat surrounded by the refreshing views of lush green tea plantations, rolling hills, woods, and quaint rivulets. Continue your full day sightseeing tour of Munnar with a trip to Anaimudi Park – the highest peak in South India, and then to the immensely beautiful 97-square-kilomter Eravikulam National Park, which is home to the endangered Nilgiri Tahr, along with several unique and rare species of birds, butterflies, and plants such as Neela Kurinji, which blooms here only once in 12 years. Also, make your way to Tata Tea Museum, with some intriguing exhibits that throw light on the interesting history of emergence of Munnar as Kerala’s key tea plantation center, and Blossom Hydel Park, which offers superb facilities for nature walks, cycling, bird watching etc. 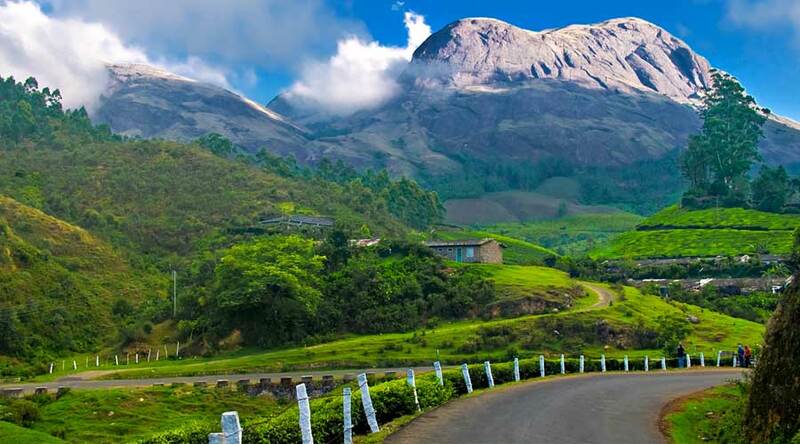 Most of all, this tour includes Pothamedu View Point, which treats your eyes with the imposing grandeur of Munnar’s verdant and aromatic coffee, tea, and spice plantations. If you’ve energy to burn out, consider going for a trekking or hiking expedition while here. Munnar is so incredibly exquisite that you should definitely visit this natural splendor to experience it for yourself. So don’t delay to book our all-inclusive ‘Highlights of Munnar’ and return home with refreshingly wonderful experiences. It was a great and amazing experience of Kerala, because of excellent and perfect plan provided by Mrs. Zarina Shaikh from Rayna Tours. Thank you Mrs. Zarina Shaikh for giving magnificent package.